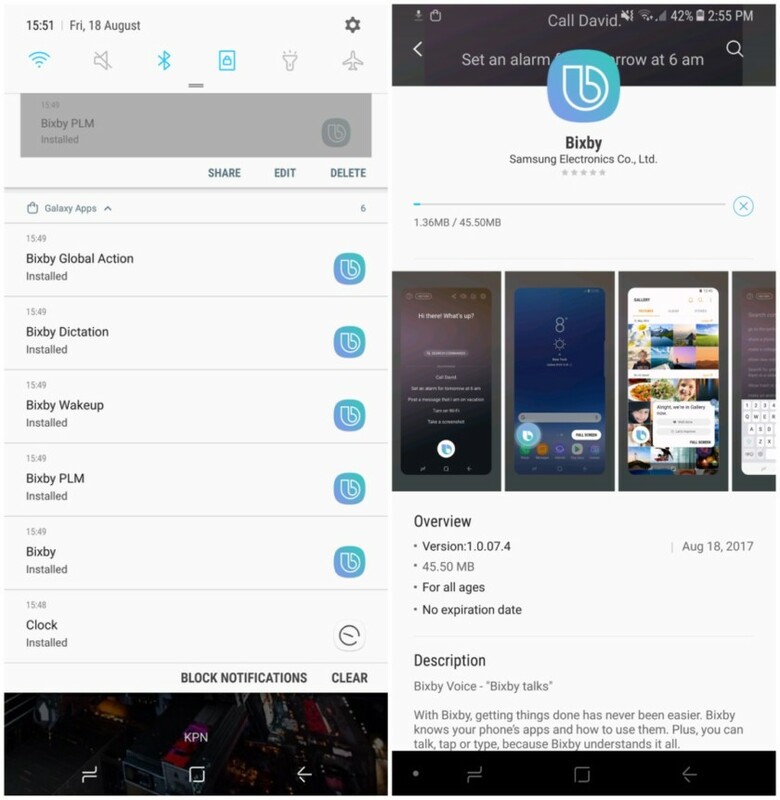 Do you remember Bixby? No problem if it is not fresh in memory since one of its main functions had not yet been released to the public. This has just changed: Samsung has released the voice capabilities of its virtual assistant in more than 200 countries around the world. Do not get too excited if you own a Galaxy S8, Galaxy S8 Plus or Galaxy Note FE or Galaxy A7 2017 – the handsets that support Bixby – there are only two languages supported by it; Who speaks English or Korean can now communicate with the smart digital secretary. The update appears soon after entering the Bixby interface. When you finish downloading and installing the files needed for the update, you must choose between English and Korean as the default wizard language. Then you can choose to unlock the phone using only your voice. Before you begin using it, you must “train” the assistant to recognize the tone of your voice and the way words are spoken. The process starts when the center button is pressed; She asks for phrases to be spoken at a constant speed and in an empty room. Already the menu reserves tutorials and configurations so that your experience with Bixby is as complete as possible. Unfortunately, Bixby has not yet been able to respond to our tests; Not all handsets are being able to communicate with Samsung’s servers, something that should be fixed soon. So what did you think of Bixby? Although there is still no forecast for the Portuguese language, it comes to the market to face strong names, such as Apple’s Siri, Google Assistant and Microsoft’s Cortana. We will see if she has room to grow into a category that already seems to be saturated. Keep an eye on TechWikies to find out more!